MONDAY, July 11, 2016 (HealthDay News) -- Adding to fears about the overuse of antibiotics, a new Texas study finds that one in every 20 adults has hoarded the drugs and used them without a doctor's guidance. For years, health experts have warned that overuse of antibiotics is leading to drug-resistant "superbug" bacteria that could pose dire health problems. "When people self-diagnose and self-prescribe antibiotics it is likely that the therapy is unnecessary because most often these are upper respiratory infections that are mostly caused by viruses," said study lead author Dr. Larissa Grigoryan. She an instructor in Family and Community Medicine at Baylor College of Medicine in Houston. "The most common conditions patients reported self-treating with antibiotics were sore throat, runny nose or cough -- conditions that typically would get better without any antibiotic treatment," Grigoryan said in a news release from the American Society for Microbiology. One infectious-disease expert expressed alarm at the new findings. "This report on people using previously prescribed antibiotics, for self-diagnosed reasons, is terribly disturbing, potentially dangerous for the individual and clearly detrimental to society as a whole," said Dr. Howard Selinger. He is chair of family medicine at Quinnipiac University School of Medicine, in Hamden, Conn.
"Self-diagnosis and treatment with previously prescribed antibiotics puts the patient at risk for potentially dangerous side effects such as disruption of bowel bacteria, diarrhea, etc.," he noted. Also, "even if the choice of a previously used antibiotic is appropriate, the quantity will be insufficient to complete the job due to previous use," Selinger pointed out. For the study, Grigoryan's team randomly selected and surveyed 400 adults treated at diverse family practice clinics across the Houston area. Of these patients, 5 percent said they had used antibiotics without a prescription in the past year. The researchers also found that one in every four patients surveyed admitted that he or she would use any antibiotics on hand -- without contacting the doctor first. 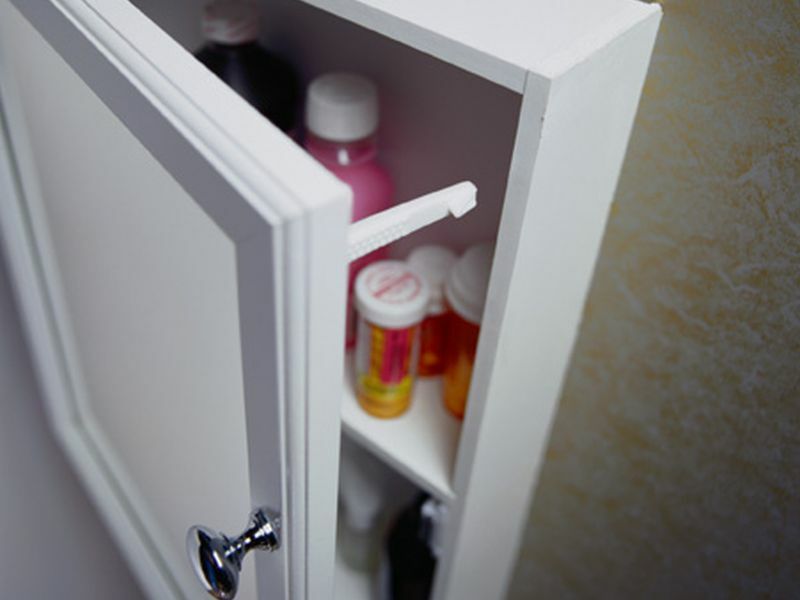 Overall, 14 percent of the adults polled said they kept a stash of antibiotics in their home. Most of these drugs were saved from prior prescriptions. Of the antibiotics obtained without a prescription, 40 percent were purchased in a store or pharmacy; 24 percent were bought outside of the United States; 20 percent were supplied by friends or family members, and 12 percent were left over from previous prescriptions. The researchers said that in 4 percent of the cases, antibiotics used without a prescription were drugs intended for use in animals, not humans. "Patients from public primary care clinics, those with less education, and younger patients had a higher risk of [non-prescription] use in our survey," Grigoryan's team wrote. Cost may be driving some of this non-prescription use, the researchers theorized. They pointed out that copays for drugs at public clinics may be $70 or more, so some patients may seek cheaper ways to get antibiotics. Whatever the cause, the trend could have big implications for the health of individuals, and public health in general, doctors said. When people use an incomplete series of leftover antibiotics, this can allow germs to develop a dangerous resistance to the drug, Selinger explained. "That's resistance that then puts everyone in the population at risk for a future infection that is difficult if not impossible to treat," he said. Dr. Len Horovitz is an internist and infectious disease specialist at Lenox Hill Hospital in New York City. He called the overuse of antibiotics a "major health concern." "It's a bad enough practice when doctors overprescribe, but now it's clear that patients themselves are acquiring antibiotics and are self-prescribing," Horovitz said. "Inappropriate use is most often for a cold, where antibiotics won't work." The study was published July 11 in the journal Antimicrobial Agents and Chemotherapy.